This article originally appeared in the October 2018 magazine edition of Australian Aviation. The long-haul, low-cost carrier has been an Australasian and Asia Pacific success story, as a region with exploding travel demand meets the needs of a widening range of passengers with new generations of aircraft – plus new takes on what an airline is, and how to run it. The big three in the region are AirAsia X, Jetstar and Scoot, with Cebu Pacific and Lion Air also operating widebody aircraft. But new generations of efficient narrowbodies are set to enable a surge of new business models for medium-haul, low-cost carriers operating single-aisle flights of six to eight hours along the lines of flydubai with its 737 MAX and WOW Air with its A321neo aircraft. Continues McIntyre, “Customers who want to travel at a low price but want more in terms of meals, inflight entertainment, extra baggage, additional legroom, flexibility of last-minute flight changes or a choice of other extras are able to do so for a fee. That choice has been popular among its travellers. 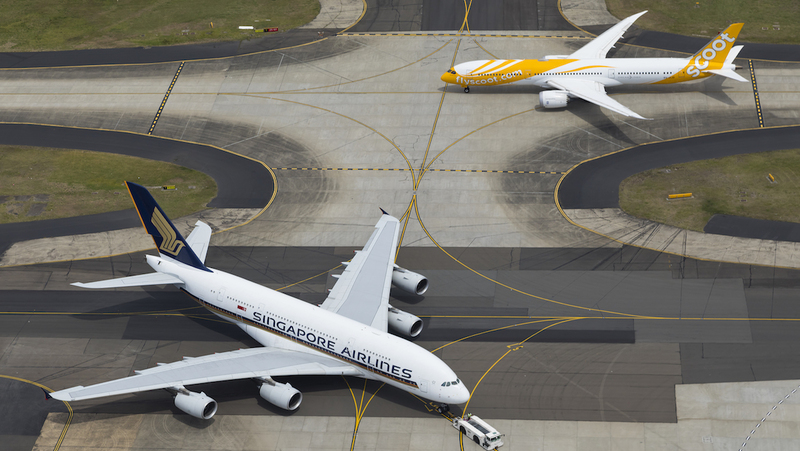 “As the first and one of the most successful [long-haul] low-cost carriers in the world, we believe that we’re well placed to capitalise on this next wave of tourism to and from Australia, as well as within Asia,” McIntyre says. Onboard long-haul, low-cost carriers, one might think that the products are remarkably similar: tight seats with little legroom and no frills. But the reality is more complicated: it’s as much legroom and as many frills as you want to buy. 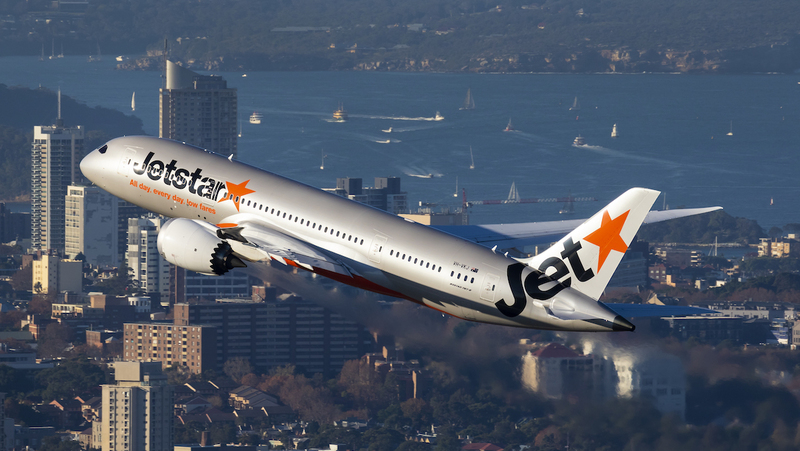 Jetstar and Scoot both operate the Boeing 787, with Jetstar having moved to the smaller 787-8 twinjet from the Airbus A330 and Scoot to a mix of 787-8 and -9 from the Boeing 777‑200. The basic product on each is an economy seat with about 31in of seat pitch in a 3-3-3 configuration. Jetstar offers three options for economy seating: standard seats, Upfront seats ahead of the 787’s wing, and extra legroom seats at the front of each cabin section. Scoot, meanwhile, offers Super Seats where it promises 34in of pitch, Stretch seats at the front of the cabin, and a Scoot in Silence section with no under-12s. Both airlines also offer a premium cabin they brand as business class, which is essentially international premium economy-style recliner seats pitched at 38in in a 2-3-2 layout. AirAsia X is a bit different, and apart from some recently-arriving leased aircraft it doesn’t plan to reconfigure, it offers both a tighter economy and a more spacious premium cabin. Down the back of the A330 it too is nine-abreast, although with narrower seats on the thinner A330 cross-section than on the Dreamliner, and a section of 2-3-2 seating in the last rows of the aircraft as the fuselage narrows. Hot Seats are on sale at the front of each cabin, while the Quiet Zone bans under-10s. The premium cabin offers old-school sloping sleeper angled lie-flat seats in a 2-2-2 layout. Bags, meals, airport services – everything else is up for sale. It’s a different strategy to that used by traditional airlines, but there is clearly a market for it. 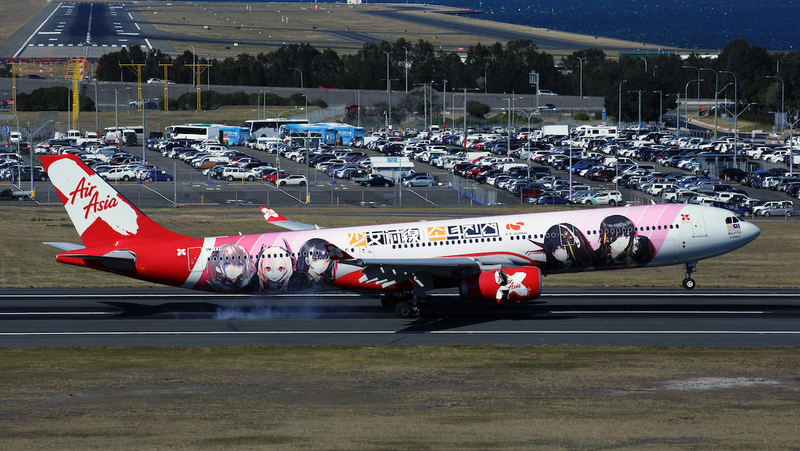 Long-haul low-cost carriers often engage passengers with a playful, energetic branding, with liveries, colours and uniforms to match. 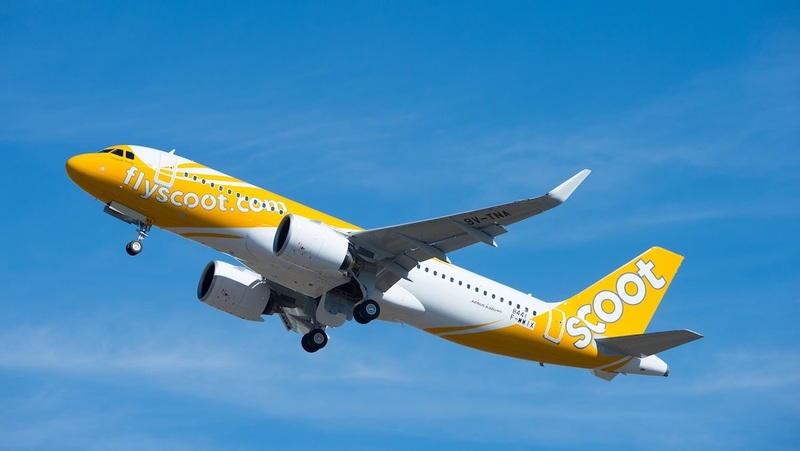 “Scoot’s identity is one that says to its customers, ‘Hey, let’s go and escape the ordinary together’ and is a little tongue in cheek about it,” chief commercial officer Vinod Kannan tells Australian Aviation. Approaches towards branding versus operating structure vary, however. 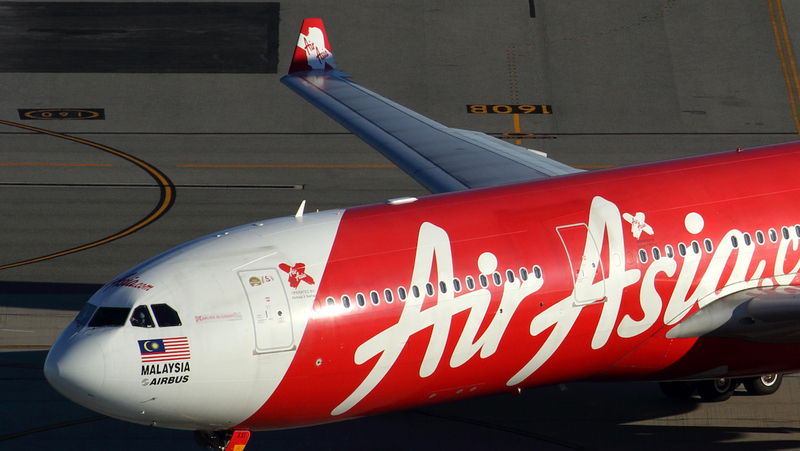 AirAsia X, for its part, operates its main Malaysian carrier, as well as subsidiaries Thai AirAsia X and Indonesia AirAsia X, though branding and booking is largely aligned. 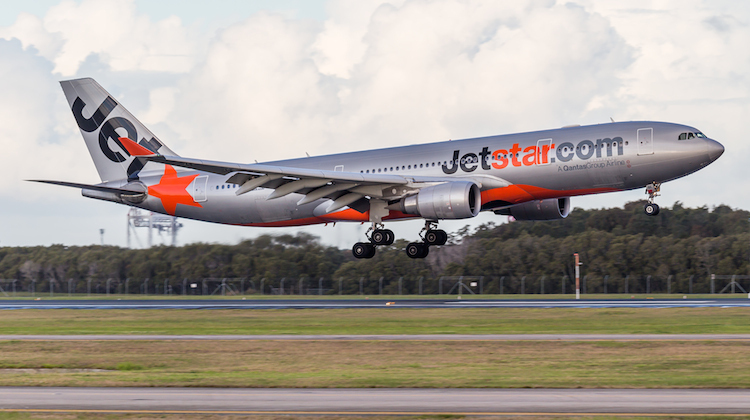 “While customers in different markets may prefer to use different booking platforms, and are attracted to different types of activities, destinations and peak travel times, our role here at Jetstar remains the same,” says McIntyre, focusing on costs: “to allow more people to travel, more often, through affordable airfares”. 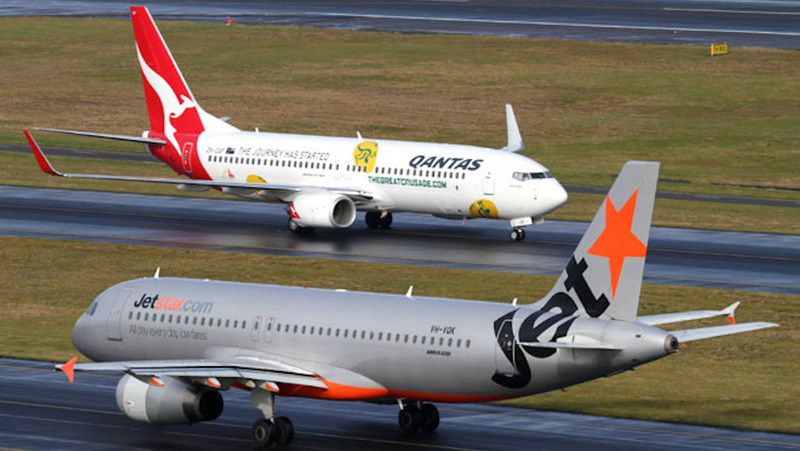 Scoot and Jetstar also benefit from frequent flyers buying down from Singapore Airlines and Qantas, whether on the basis of price or experience, with both Qantas Frequent Flyer and Singapore Airlines’ KrisFlyer programs allowing earning and burning on both the parent and child companies. Yet the branding of the airlines is and has always been separate, and the companies are careful not to cross the streams. 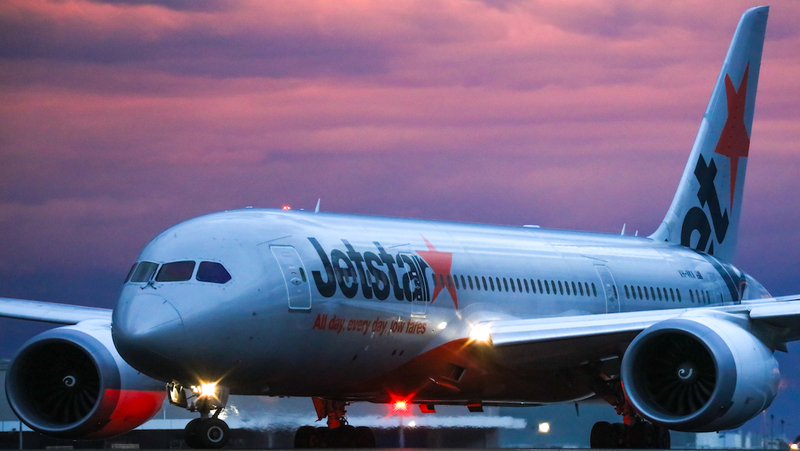 “One of the key reasons for Jetstar’s success has been its distinction as a standalone brand with a commitment to offering customers low fares and choice when it comes to the type of travel experience they are after,” says McIntyre. Neither Scoot nor Jetstar wanted to talk about greater integration with the Star Alliance or oneworld alliances, of which their parent airlines are key members, respectively. As originally conceived, most long-haul, low-cost carriers are designed as point-to-point operations, either supplementary to or in addition to shorter-haul routes operated under the same brand or that of one or more siblings. Globally, there was until recently some reluctance on the part of long-haul LCCs (and indeed regular LCCs) to provide connecting traffic, not least because the lower cost operational backend systems available did not support it. Scoot that Scoot added short haul routes to our network,” says Kannan. This complexity is anathema to the lower cost operations of a theoretical LCC, and indeed creates a number of challenges – especially around the expectations airlines set to their passengers about what customer service they are likely to receive in a disruption — which has not always been a rosy picture for Scoot. Wrote then chief executive officer Campbell Wilson on Facebook to irate customers in 2013 following a nightmare weekend of disruptions, “I’d still like to remind, however, that we are a no-frills airline. We believe that most of you understand this travel model enough to know that the only way we can offer fares as low as we do is, in part, by not keeping the same large teams of airport or customer support staff as our much more expensive full-service brethren, and that some degree of self-reliance is a quid-pro-quo for a cheap, safe ticket”. Despite the name, long-haul low-cost carriers have often tended more towards the medium-haul, partly for operational reasons and partly because of their lower level of comfort when compared with traditional airlines. As we come towards the end of 2018, we sit at an aeronautical inflection point in terms of aircraft. Modern composite jetliners like the Boeing 787 and Airbus A350 are maturing and becoming widespread, with the 787 in regular long-haul, low-cost carrier use and the A350 starting to filter down from top-drawer carriers as well. Boeing had hoped to steal AirAsia X out from under Airbus’s nose with the 787, operated by both Scoot and Jetstar. “We were one of the first low-cost carriers in the world to fly the Boeing 787 in October 2013, and the first airline in Australasia. Over seven million people have flown on our Dreamliner aircraft since,” says Jetstar’s McIntyre. However, while your author reports regularly on the advances made by aircraft seatmakers in creating additional living space at similar or reduced seat pitch, it is hard to see how markedly narrower seats at the same pitch are an improved travel experience or give extra space. The cost basis of the 787 cited by airlines is impressive, though. “When Scoot first introduced the 787, we saw a 20 per cent improvement in fuel efficiency compared to the 777 aircraft we had been using previously,” says Kannan. It’s not just cost, though. “The advanced technology on the 787 means it can also land in more diverse weather conditions, with increased situational awareness for flightcrew through enhanced displays,” says Jetstar’s McIntyre, citing the vertical profile and head-up displays as particularly beneficial. McIntyre highlights that the Qantas Group has 45 options and purchase rights for 787s of various sizes across the next decade, compared with Jetstar’s current 11 unit 335-seater 787-8 fleet. While larger aircraft are more efficient in a number of ways, long-haul low-cost carriers have special considerations to take into account, as Kannan explains. On the near horizon for all three of these airlines is the option for Airbus’s middle-market, mid-range Airbus A321neo and its extended-range variant, the A321LR, which offers additional centre fuel tanks for increased range. These aircraft also offer the Airbus Cabin Flex door arrangements that enable either more passengers via an increased exit capacity, or more floor space by deactivating doors on premium configurations – less likely, of course, among long-haul LCCs. Crucially for low-cost carriers, the extra range of the A321LR allows increased utilisation by opening up medium-haul overnight flights that keep aircraft flying through the night earning money instead of sitting idle on an apron incurring costs. 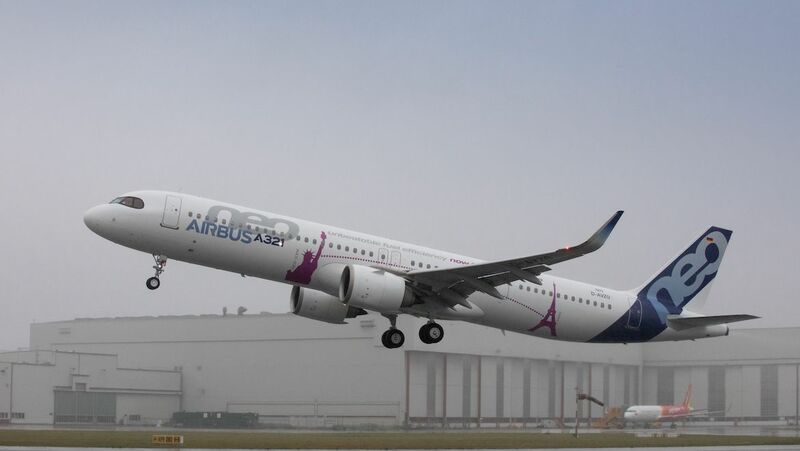 All three long-haul LCCs in the region have the A320neo family on order, and Airbus is only too delighted to upgrade any A320neo to an A321neo, given that it is a more expensive aircraft that still takes up the same production slot on the final assembly line floors. The wider AirAsia group has bought into the A321neo in a big way, largely for capacity reasons at Asia’s constrained airports. Yet the airline group has kept mum on the A321LR despite swirling rumours of another hundred-aircraft order. Most recently, AirAsia X group chief executive officer Kamarudin Meranun kept the cards close to his chest when talking more widely with Australian Aviation at the Farnborough Airshow. While Scoot has yet to order the A321neo, it “expects to receive its first A320neo in the last quarter of 2018,” says Kannan, and will install an all-economy configuration. Low-cost carriers have changed the way the airline world operates, especially within the Asia Pacific region. “37 million people flew with Jetstar last year and, of these, 24 million customers paid under $100 for a flight,” says McIntyre. VIDEO: A view from the flight deck of Scoot’s inaugural flight to Berlin, which took place in June 2018, from Scoot’s YouTube channel. 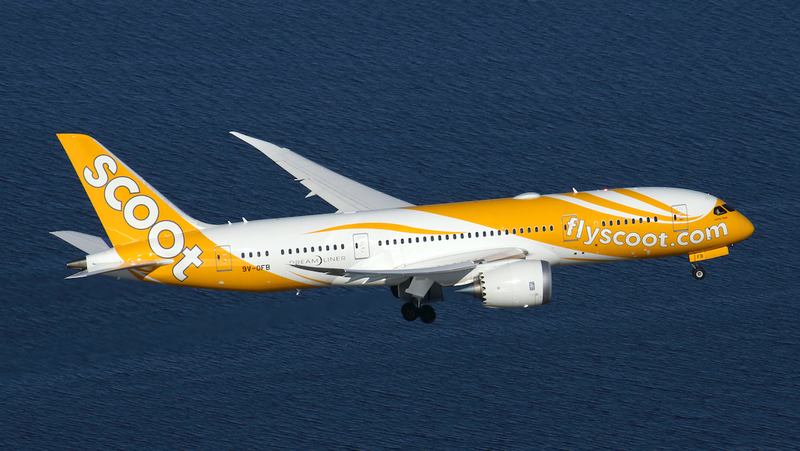 Postscript: Since this article was published, Scoot announced on November 22 2018 it would end its Singapore-Osaka Kansai-Honolulu flights from July 2019 due to weak demand. yes of course, but think Laker was only UK/USA (London/NYC ?) rather than long haul like Canada 3000 who flew same aircraft YYZ/YVR/HNL/SYD/AKL/RAR/HNL/YVR/YYZ without any long stops. It’s sad to see that Tigerair Australia has missed their opportunity to become a great LCC. Unfortunately they have allowed Jetstar to get too big, which I think will be the end of the Tiger brand. with this massive recession we had to have, many leisure travellers will switch from Qantas & Virgin to Jetstar & Tiger & will choose whoever is cheapest. Finally many people have realised if you travel light, you can save money. Recently booked a British Airways flight to UK & although the fare was around $2500, no actual seat choice was included & that was an extra ala LCCs. It’s going to be a very rough 2-3 years minimum for airlines to survive. Many in Europe have already folded, as discretionary spending for travel is one of the 1st things to go, in a recession. Not sure I agree with you David on people choosing LCC’s as the recession bites. Many complain bitterly about Tiger and Jetstar, re cancelled service, lack of service and info when things go wrong. I do agree that families will take a risk on services to Nth Qld, the Gold Coast etc, as they can save a bit. I think you may have fallen for the spin from Qantas & Virgin employees worried about if they’ll have a job in the future. Suggest most complaints are from them. Many small business owners, who fly, even only a handful times a year, who pay their own fares effectively, will really look hard at reducing their costs. Even business types who try to pass on their travel costs to their customers, will see their revenues tighten & their will be downward pressure on travel expenses, even to the extent that some trips might not just be downgraded to cheaper options, but cancelled altogether. Even heard of one company with huge number of reps, who are looking to do 3-5 day road trips, instead of flying at all. I agree with. you. LCC/LHCC’s like Jetstar and Scoot have parent companies with deep pockets and like with AirAsiaX being a stand alone carrier having an established reputation will survive. 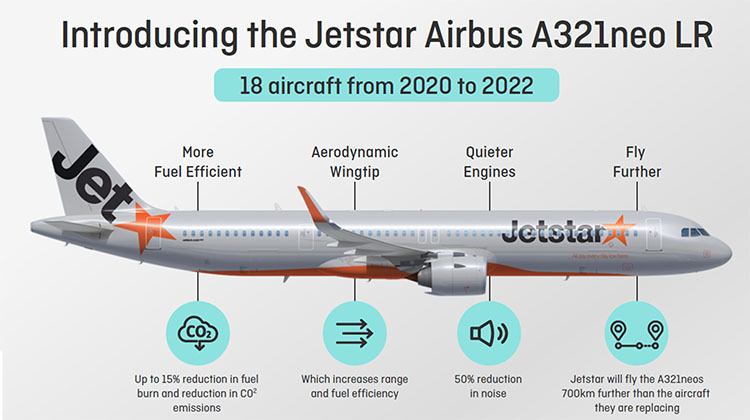 With regards to Virgin and Tigerair, it will depend on what Virgin Australia owners want to do with the 2 airlines, especially with Air NZ introducing the A320eo/A321neo that are using Airbus Cabin Flex configuration on the short haul international routes with their hybrid LLC/FSC model. I flow AKL/MEL/AKL this weekend on their new A321neo with the new seats with 74cm pitch. Whilst the seat design and leg room was good but the IFE screen was almost in your face, more so, when the person in the seat in front of you reclines. The return flight was better with the 83cm pitch. If more FSC’s adopts Air NZ hybrid LCC/FSC model, then only the well established LCC/LHCC’s or those who have deep pocket parent companies will survive. Just flew the Jetstar 787 Brisbane to denpassar, much prefer the 787 over the equivalent 737 service by virgin and malindo, i feel theyll lose myself as a customer if they chnage it to a narrow body A321. not sure if they will do it tho as they had a full flight in both directions for my trip, which im sure is almost double the customers a narrow body can carry.